New Orleans’ French Quarter Festival supports the local music community and only schedules local musicians regardless of the style of music they play. The Festival has over 20 stages featuring every genre from gospel to jazz, from funk to classical, from Cajun and Zydeco to brass bands. All music programming is free to the public. The community festival also features the ‘World’s Largest Jazz Brunch’ and festival food booths operated by some of New Orleans finer restaurants. French Quarter Festival takes place throughout the historic French Quarter (Vieux Carre) neighborhood in New Orleans. Music stages are located at Jackson Square, Woldenberg Riverfront Park, Bourbon Street, Royal Street, Bienville Triangle, Preservation Hall, the French Market and other significant points throughout the French Quarter district. Music performances are made possible by the French Quarter Festival Musician Sponsors, American Federation of Musicians, New Orleans Local No. 174-496, the Music Performance Trust Fund, and over 100 entertainment sponsors. From its April 9 start, French Quarter Festival features a number of special events highlighting the unique culture of the region. The French Market Traditional Jazz Stage and the Chevron Cajun-Zydeco Showcase will feature dancing and classes on April 10. Also on the same day, the story of New Orleans’ black carnival traditions: the Zulus, Indians, Baby Dolls, Skeletons and the men and women who carried on these traditions for over a century is part of a film festival. Operatic performances with musical accompaniment sponsored by the French Market happen at dusk. The Festival has programmed the Pirates Alley Juried Art Show presented by the New Orleans Art Association on April 11. On the same day, French Quarter Festival and the NOLA Jitterbugs present free sessions in: 1920s Charleston, Swing, Cajun Jitterbug and Zydeco dance lessons. The final festival day, April 12, opens with the Pirates Alley Juried Art Show, followed later with panels on Louisiana Music. A Film Festival about French Quarter Festival is presented by Timecode:NOLA. French Quarter Festival closes with Dancing At Dusk. Now in its 24th year, the Florida Film Festival in Maitland is an Oscar®-qualifying festival premiering independent, and international cinema. For ten days after the April 10 opening, 170 film screenings and special events give film lovers the opportunity to mingle with filmmakers and actors over hand-crafted cocktails and a food menu from Eden Bar inside the theater and other settings. The Opening Night Film screening and reception features “Welcome to Me” and “Submarine Sandwich.” The genre categories for the festival include: shorts, documentaries, features, international entries, spotlight selections, midnight screenings, family oriented programming, Florida themed films, music and retro channels, Tastemaker Picks. There are scheduled discussions, and on April 15 a “Film In Florida” talk, sponsored by Orlando Film Commission will be an Everything You Need to Know Guide for filming in Florida, from locations, to incentives, and everything in between. This discussion event, which is free to the public, is followed by a mix-and-mingle with industry professionals and fellow filmmakers. An April 17 Filmmaker Forum is the festival’s annual exchange of ideas and know-how, and first hand accounts of trials and triumphs from the filmmaker’s themselves, moderated by Rollins College Professor Denise Cummings, Chair of the Department of Critical Media and Cultural Studies. And Florida Film Festival is never short on parties and other networking events for their guests and even the public to be part of. Aside from the Opening Night Party there is a Whole Foods Market tasting on April 11 for guests to sample the spread of natural and organic tastes of Whole Foods Market. A Sunday Brunch Buffet prepared by Enzian’s chef is scheduled for April 12. A Block Party with live music for Festival ticket and pass holders provides free drinks and appetizers from select Winter Park Village restaurants. On April 13, the Monday Night Pitcher Show is a free screening for the public on the lawn. Other Pitcher Shows follow on April 15 and 16. The Florida Film Mixer is a post screening discussion as well as mix and mingle with industry professionals on April 15. An invitation only Industry Party at Taps Restaurant Bar and Lounge on April 17 serves craft and imported beers and wine and food. The annual NAB Show serves the digital media and entertainment industries and is a showcase for next-generation tools to develop, manage and deliver content across all electronic/digital platforms. There will be a sizable array of program offerings from conference and exhibitor presenters. The activity areas served include, but are not limited to: broadcast, digital media, film, entertainment, telecom, post-production, education, houses of worship. New attractions set for 2015 will include Connected Media|IP, focusing on the consumer experience; the Drone Pavilion, featuring a fully enclosed “flying cage” for demonstrations; New Media Expo (NMX) hosting celebrity bloggers, podcasters and digital content creators; SPROCKIT, where market-ready startups present their new ideas; StudioXperience, a live studio using all the latest tools and so much more. Within NAB’s Conference segment, the Media Finance and Investor Conference is produced in partnership with Noble Financial Capital Markets featuring discussions at the corporate CEO, CFO, and investor relations level around technology investments, economic outlook panel discussions around ad growth. NAB’s exhibition/pavilion area – Futures Park – holds a showcase of advanced projects presented by NAB Labs. Expect demonstrations of high-tech media developments in progress, prototypes, and products not yet available for sale from academic, government, and commercial research laboratories in the United States and around the world. New Media Expo (NMX) features bloggers, podcasters, Web TV content creators and social media visionaries. The conference includes more than 100 educational sessions within new media exhibits and the popular Speed Networking sessions. The three-day Creative Masters Series program offers perspective from directors, show runners, creative crew, studio and network production executives as they share insights on: cinematography in post production, advancing story through sound, editor’s role in production, advances in animation, augmented reality and other areas. SPROCKIT Pavilion at NAB showcases a collection of market-ready startups influencing transformation in the media and entertainment industry. Principals that run these innovative operations have been vetted by some of the industry’s leading media, entertainment and investment organizations to present at the NAB Show. A partial roll call of the companies taking part include, aioTV, a video platform that enables service providers and content owners to aggregate multiple sources of live, on-demand and freely available video content into a single, unified TV experience; Videogram, a tool that allows consumers to get a quick overview of an entire video’s contents without watching the entire video from beginning to end; Bcast, a next generation social broadcasting network, platform and application that enables users to instantly broadcast live streaming videos at any time; Yottio, a real-time video screening and trafficking platform for media makers. NAB’s website is the best source to check for a full program guide to the NAB Convention. The Seventh Annual TV and Film Finance Forum is a one-day conference set for April 14 focused on financial strategies and opportunities within the television and film business. This New York City forum is designed for chief investment officers, private equity and hedge fund managers, angel investors, high net worth individuals, private family office managers, and financial advisers who are interested in learning more about the TV and film business and networking with seasoned deal-makers in the industry. Additionally film and TV executives working on operational, financing, production and distribution strategies are also expected to attend. Confirmed speakers for Seventh Annual TV and Film Finance Forum include financiers and producers of “Boyhood” and “Imitation Game” along with investors in companies such as Legendary Pictures, Lakeshore and ALCON. Topics to be addressed include: How Television Can Mine Bigger Data and Better Revenue, Generating Revenues on a Global Scale, Keynote on the Value of Original Content, Identifying and Monetizing the New Face of Television, Bridging the Gap Between Financiers and Producers, The Capital Stack Re-Defined, Keynote Conversation on Financing Award-Winning Films, Alternative Investment Views on Emerging Opportunities. New York Festival’s World’s Best TV and Films competition honors programming in all lengths and forms from over 50 countries. This event happens in Las Vegas during the same time frame for NAB 2015. The program opens April 14 with Cocktail Reception and Red Carpet Interviews, then Awards presentation, closes with Champagne Reception. Hosted by Rose Anderson, Executive Director, New York Festivals International Television and Film Awards. Dress is business attire. April 15 is dedicated to the New York Festivals Creative Masters Session, South Hall LVCC. New York Festival’s World’s Best TV and Films competition honors programming in all lengths and forms from over 50 countries. Dedicated to both the Television and Film industries, categories mirror today’s global trends and encourage the next generation of story-tellers and talent: Animation, Comedy, Corporate, Drama, Documentary, Feature Films, Movie Trailers, Music Videos, News, Promos, Reality TV Drama, Sports, Telenovelas, Webisodes, Best Performance by an Actor/Actress, Special Event, Innovation, Technical Production Team, CSR, Best Screenplay, Video Art, and Best Host. There are also presentations for the Lifetime Achievement Award, Grand Awards, Broadcaster of the Year, Production Company of the Year, and United Nations winners. TFF 2015 has called on Tony Bennet, Lea DeLaria, Savion Glover and others to take part in “Sinatra at 100: Film and Music…” a centennial celebration honoring Frank Sinatra’s legendary music and film career. 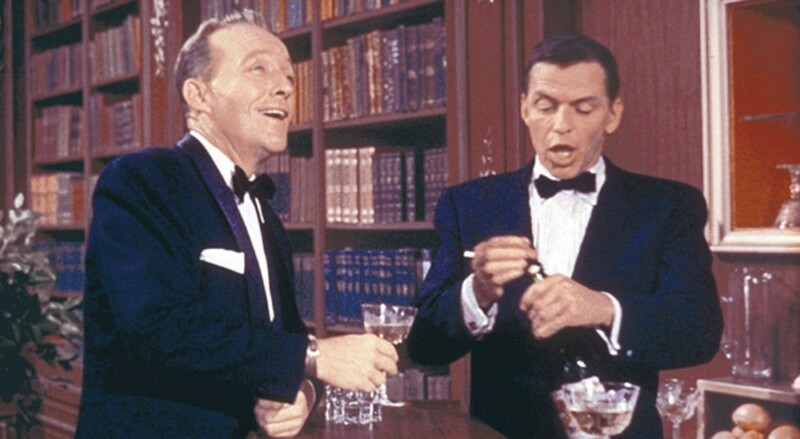 The program is set to screen two Sinatra classics — Some Came Running, and High Society — on April 24. But the centerpiece of the celebration happens on April 21, with an evening of film and music. After a new digital restoration of On The Town, from Warner Bros., the Sinatra family shares the spotlight and there are performances by legendary vocalist Tony Bennett, musician Brandon Flowers (The Killers), Rap artist, NE-Yo, comedian, actress and jazz musician Lea DeLaria (Orange is the New Black), dancer and choreographer Savion Glover, singer/songwriter Alice Smith, and bandleader/songwriter JC Hopkins and the 12-piece JC Hopkins Biggish Band. In honor of GoodFellas’ 25th Anniversary Celebration, the creators and cast members will reunite for a converstion after the Closing Night screening. Based on a true-life bestseller, GoodFellas follows Henry Hill and his friends as they climb up the mob ranks. A standout exploration of criminal life backed by a dynamic pop/rock oldies soundtrack, the film won accolades on its release and has been hailed by film critic circles as the best film of the decade. Now it has been remastered from the original camera negative, supervised by Martin Scorsese. Spend the closing weekend of the Festival (April 24) in amusement celebrating the 40th anniversary of the classic Monty Python and the Holy Grail with the legends themselves, John Cleese, Terry Gilliam, Eric Idle, Terry Jones, and Michael Palin. To complete the celebration, select Pythons will introduce the premiere of a new documentary and retrospective screenings of their movie masterworks, all weekend long. The COLCOA is committed to raising awareness of new French cinema in the U.S. and to showcasing them in the filmmaking capital — Hollywood. Submissions in the mix include: comedies and dramas, box oﬃce hits in France and novelties, ﬁrst features and ﬁlms from established writer-directors, documentaries, animation features, short ﬁlms, art house movies as well as mainstream ﬁlms. Scheduled after the Academy Awards® and before the Cannes Film Festival, the eight day festival runs through April 28. Several features are presented at COLCOA for the ﬁrst time in North America or in the U.S. COLCOA has reportedly made good selections a year before their commercial release in the U.S., placing the annual Hollywood event on the radar of U.S. film distributors. In 2008, an educational program was also launched to promote foreign ﬁlms among young American audiences in association with E.L.M.A (European Languages and Movies in America). Thousands of high school students and 95 high schools in Los Angeles County have participated in the program since 2008. In 2010, a master class program was introduced for colleges, ﬁlm schools and universities. From Berlin, TV and Multi-screen Screen Apps conference at Apps World Germany will examine the ways in which the TV viewing experience is evolving and growing from the multitude of devices that have surfaced in the connected ecosystem. It will explore the different opportunities and challenges for content producers, operators, aggregators, developers and device manufacturers. The agenda for two days opening April 22 holds ten workshop tracks aside from exhibitions and networking and special events. Workshop track, “TV and Multi-Screen, Defining the multi screen opportunities for the TV revolution,” will have keynote speakers, Prof. Wolfram Winter, Executive Vice President Communications and Public Affairs, Sky Deutschland. The other keynote speaker is Matthias Buechs, Member of the Board of Management, RTL Interactive, Director Online, RTL Interactive GmBH. Following the keynotes, sessions in TV and Multi-Screen breakdown as follows: Industry Overview, Monetisation and T-Commerce, TV Everywhere, Multi-Platform Engagement. The Gaming workshop at Apps World will examine how developers can take advantage of the continued rise in mobile gaming. Sessions will examine the developer and design of gaming apps and the business side of launching these in the market. Other Apps World highlights include: free to attend technical Developer Zone workshops focusing on a variety of platforms and insight for developers, free to attend Droidworld workshops – dealing with the key issues for Android developers, Free to attend exhibition, Multiple tracks covering the entire app ecosystem from marketers to operators and everything in-between, niche workshops exploring developing areas of the app industry such as TV apps and automotive apps. Apps World Germany has formed partnerships with local meet-up groups in Berlin for this year’s event. The groups become a big meetup on the show floor and will include: Google Developer Group Berlin Android (GDG), betahaus, Geek Girls Carrotts Berlin, Silicon Valley Mindset, hub:raum, Bitcoin Startups Berlin, BeMyApp, Mobile Monday (MoMo), Web Devs HQ Berlin, UX Designers HQ Berlin, Freelancers HQ Berlin, The Functional Club. The Dada Saheb Phalke Film Festival was established to celebrate Indian cinema and honor the legacy of the late Shri Dhundiraj Govind Phalke, regarded as the father of Indian Cinema and fondly remembered as Dada Saheb Phalke by the film fraternity in international filmmaking circles. It is a not-to-profit, non-commercial, independent film festival, originally begun in 2011 in Noida (Delhi NCR) with a mission to celebrate the cinema and work of aspiring, young, independent and professional filmmakers. A primary objective of the festival is to mark the April 30 birth anniversary of the late Shri Dhundiraj Govind Phalke, regarded as the father of Indian Cinema and fondly remembered as Dada Saheb Phalke by the film fraternity in international filmmaking circles. Film entries, which are international in scope, fill sections for feature films, short films, documentaries, animations, music videos and commercials. The festival awards the filmmakers in production, creative and performance categories. The festival will offer a Co-Production Meet: Film Market-15; Screenplay Incubation: Script Contest; Master Class on Short Films Marketing, Promotion, Distribution and Revenue Generation; Film Business Meet: Film Market-15; Master Class on Film Funding; 21 Days Animation Project: Short Animation Contest; 5 Shifts Film Project: Short Fimmaking Contest. Founded by the Educationexpo TV, an entertainment research and branding company and managed by Miniboxoffice, Dada Saheb Phalke Film Festival-15 is open to filmmakers of all ages. Its intent is to find and cultivate talented future members of the entertainment industry. The above events are only a sample of what is fully listed. Complete details are on the “Media, Entertainment and Performing Arts Industry News and Events” page at: http://www.actorschecklist.com/index.php/news-updates/monthly-event-calendar. The events blog also shows links to pages that are translated into ten of the most widely used international languages read over the Internet other than English. 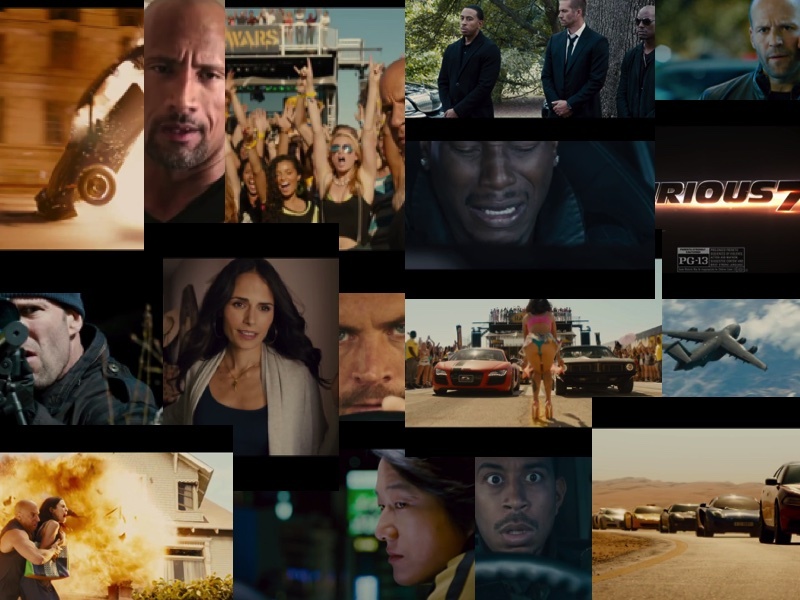 This month’s photo placement displays the Universal film franchise “Furious7” as it set box office records across the globe in its opening week. Also, Tribeca Film Festival will have a 100th anniversary celebration honoring the film and musical legacy of Frank Sinatra. If the photos do not appear in this post please visit the blog page to view it. Looking ahead into the next month be aware that: Streaming Media switches from West Coast to East Coast East and arrives in New York City as Streaming Media East, footageMarketplace London opens in London, New York Festivals International Advertising Awards has ceremonies in New York City, Casual Connect Asia 2015 produced by the Casual Games Association is set for Singapore, New York International Short Film Festival will be in New York City, Cine Gear Expo opens in Los Angeles, Seattle International Film Festival opens for a three week run in Seattle.